Shadows the king of sexyness!!!! WOLD?! YOU?! GUYS?! JUST?! SHUT?! UPPPPPPPPPPPPP! did u guys notice his crown says burger king??? I did. 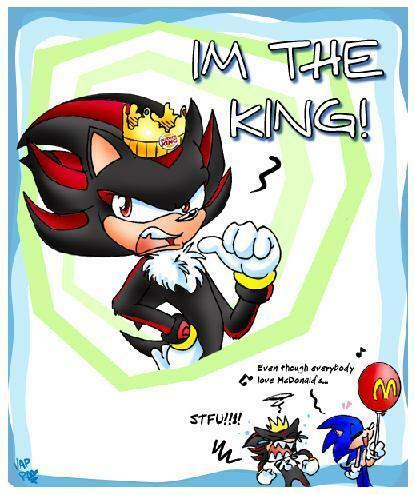 *giggles* SHADOW'S THE BURGER KING!!!! !